Let her start off her morning with a cup of her favorite coffee out of her very own personalizedmug. This unique design is great for math-lovers. 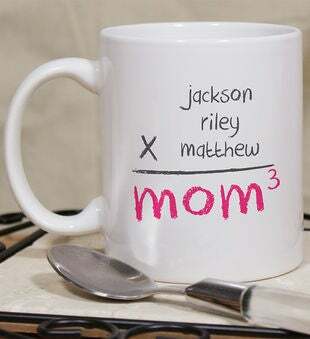 The creative equation will tug at Mom's heart strings and definitely make her smile.